Jaded Blossom: Guest Designer ~ Katya Bess! Katya Bess from Kattyxotica's Kreation here. I am very excited to be a guest designer. Woohoo! Thank you Candace and Michelle for giving me a chance. I have four children but one in particular is a little bit mischievous... his name is Tiberius. He would have almost have all "no's" but the elf was grading on the curve this time. to get his act together before his birthday and before Christmas. for a "no lines" coloring method and used Prismacolor pencils to color him up. 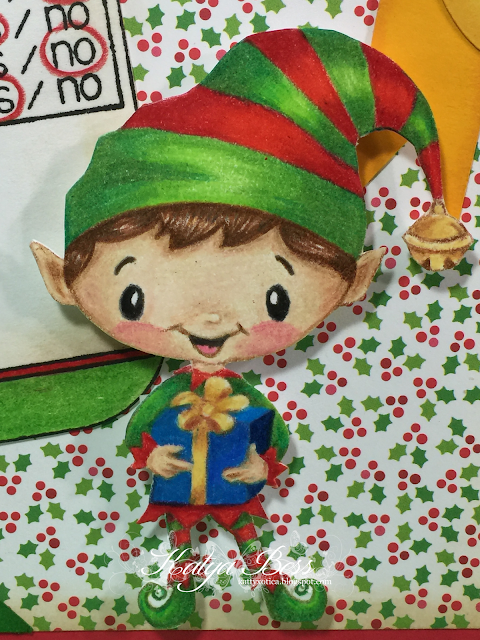 Here is a close up of the elf. to check out the other guest designers. Katya this just beautiful!!! I love your coloring style!!!! This is so fun! LOVE how detailed your coloring is on the elf! WOW! Your card / coloring is amazing!! Such a cute card! Your elf is darling and the colors are perfect!! Congrats on your GD spot! Wow! The elf is so awesome! This is ADORABLE!! Your elf is just PRECIOUS!! Congrats on your GD spot! What a darling card Katya! My daughter doesn't listen either, she's 17. LOL! OH MY GOODNESS.....will you please come teach me to color like that? Your elf is amazing! Wow, that is beautiful...I love your coloring! 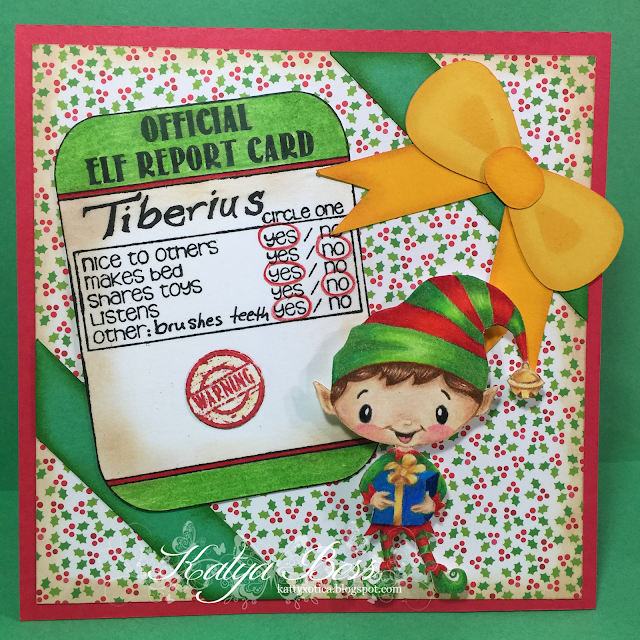 Love your coloring - such a cute elf! !